Thank you so much for your comments and e-mails on my big reveal post. We’re both so thrilled and the support absolutely means the world to me. I was on cloud nine feeling all of the love. 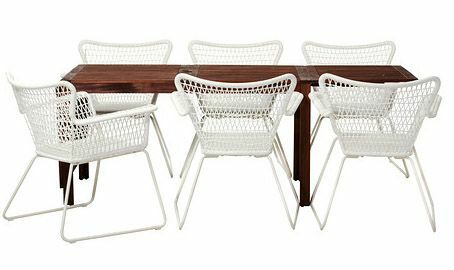 Now back to decor…the other day I was looking for a very affordable outdoor table and chairs. 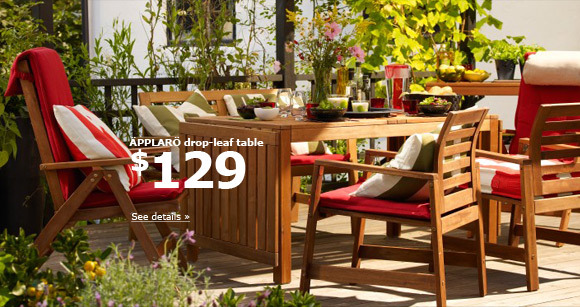 I was blown away by how expensive outdoor furniture is, even at the big box stores or used on Craigslist. Alas, it finally hit me like a ton of bricks…Ikea. Duh. Ikea. Sure, it will not be your forever outdoor furniture. But, there is a time in all of our lives when Ikea is where it’s at. Anyone ever had the Applaro Drop Leaf Table? I haven’t even seen it in person but at $129 I’m sold. Anyone else ready for summer and a cocktail (make my virgin for now)? 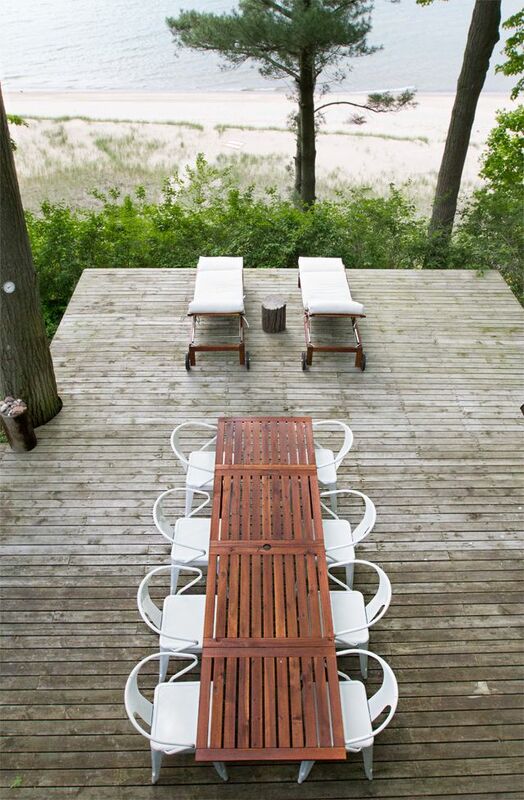 I think Ikea is a great solution for outdoor furniture. Since we bought our house, I’ve been looking for a table and chairs and the options I like (French bistro sort of style) are all thousands (yes, THOUSANDS) of dollars. I wouldn’t feel terrible if the Ikea options lasted only a couple of seasons. I have this and love it! I’m going on year 6 with it. It does need upkeep with the stain, though (fades to gray color after two winters). Also, congrats on your pregnancy! I also have this table plus the bench and folding chairs.and actually like that it fades to a gray weathered look. We even power washed it to fade more quickly. I say go for it!